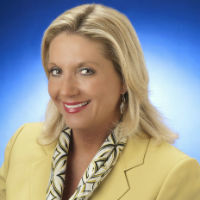 Mary Cockerham is an accomplished health care executive with over 25 years of experience in Women’s Health Care, Breast Imaging and Oncology Services. Mary has vast expertise in Administration, Operations, Sales, Business Development, Marketing and Physician Liaison positions. Mary has created effective and efficient structure within health care organizations by building cohesive and successful teams by quickly establishing positive rapport and trusted relationships with diverse clientele and key stakeholder populations. Mary has built and developed relationships with over 700 physicians and their staff in more than 80 locations across central Indiana. With this increased growth and utilization of hospital, ancillary and physician services this resulted in Network growth of greater than 30% annually in multiple health care organizations. Mary led teams and automated system projects through all phases of the development cycle for implementation and optimization of EPIC electronic medical records for Community Health Network. Mary is proficient in the development of early detection, screening and cancer prevention by implementing new strategic initiatives to identify high risk patients through risk reduction stratification, genetic testing and genetic counseling programs. This proven model is highly beneficial for the patient and family members while immensely increasing downstream revenue, growth and volume in health care systems. She has designed and developed multiple new facilities for both breast imaging and comprehensive oncology centers nationwide. Mary is certified in EPIC Beacon Oncology and licensed in both Radiography and Radiation Oncology. She received her bachelor’s degree in Radiation Oncology from the University of Wisconsin.